Constance Brinkley-Badgett is an editor and writer at Credit.com. Prior to joining us, she worked as an editor for MSN.com, senior digital producer for CNBC, and digital producer for NBC Nightly News. She also is a graduate of the International Culinary Center in New York, has worked for chefs such as April Bloomfield and Jean Georges Vongerichten, and is the founder of Crave Personal Chef Services in Austin, Texas. As the American population grows older and more of its wealth becomes controlled by senior citizens, home care agencies must be able to help their clients both recognize and avoid instances of financial fraud. Unfortunately, financial scams targeting older adults remain one of the most common forms of fraudulent criminal activity. Elderly individuals are frequent targets, due to the effects of age on memory, cognition and social participation. And while that situation can be exacerbated by a revolving door of strangers entering an elderly person’s home, it’s also an opportunity for care agencies to provide safety measures to ensure clients aren’t taken advantage of. The only steady relationship most clients have with the home care agency is with the owner of the agency and the designated care manager assigned to the case. 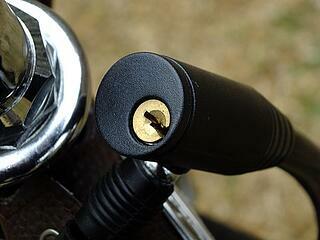 That’s why an extra layer of “scam security” is needed to ensure both your staff and clients are safeguarded. You can obtain forms online that will help you identify and organize the documents providing proof of a potential caregiver’s skill set. A personal care agreement, or contract between the individual who agrees to provide caregiver services and the person receiving care, can serve to protect your loved one should they need a legal advocate. 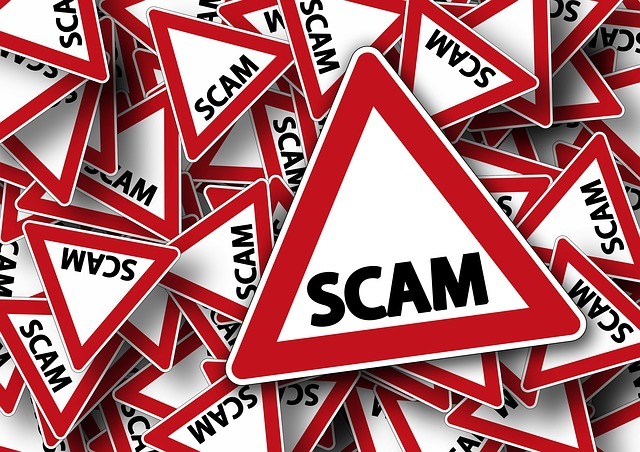 Loverde suggests providing certain staff members with sensitivity training around financial scams and providing clients with written documentation of this training. 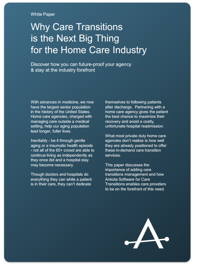 If you're looking for additional ways to expand your knowledge-base or business, consider downloading our free white paper, Why Care Transitions Is The Next Big Thing for the Home Care Industry. Just click the link to download.